Welcome to part four of this series exploring every single film stock (including instant film, dry plates, etc. ), still being made today. Combining parts one, two, and three, this series has covered 65 stocks so far and this instalment adds another 50, bringing the total to 115. With regard to any uncredited sample images below, they are all my own and exist in one form or another as Daily Photos or part of articles written by yours truly for this website. Every other image has been credited to the photographer that created it. Product images were obtained from specific vendor websites/materials and have been credited at the foot of this article. The Eastman Kodak Company (Kodak), was founded in 1888 and is headquartered in Rochester, New York. The company continues to manufacture film products – motion picture, professional and consumer – and licenses its name to be used with many products made by third parties. Kodak still photography films are sold and marketed through Kodak Alaris (owned by the UK Kodak Pension Plan). Kodak continues to sell its motion picture products, such as VISION3 and Double-X film; and other specialist intermediate products under the Kodak Motion brand name. In January 2017 Kodak and Kodak Alaris jointly announced the return of Kodak EKTACHROME slide film. Originally expected to be released by the end of 2017, the film was officially released on September 25th 2018. 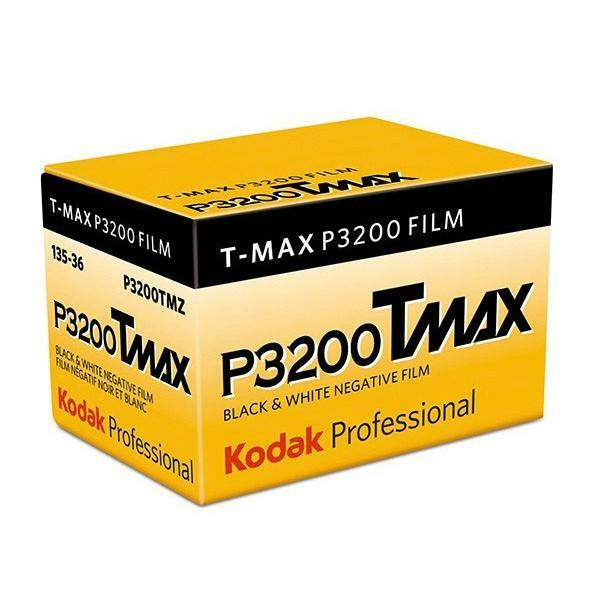 In late February 2018 Kodak Alaris announced the return of T-MAX Professional P3200 film five years after its discontinuation. The film came to market a few weeks later and stands with ILFORD Delta 3200 Professional as the only other ultra high-speed black and white film currently in production. 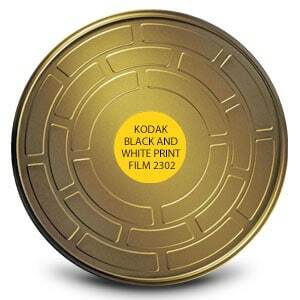 KODAK Black-and-White Print Film 2302 is a low speed, blue-sensitive, high-resolution print film. The film is coated on Kodak’s proprietary ESTAR base. 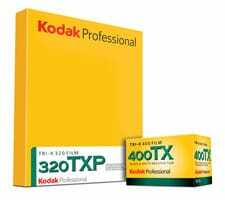 The film can be purchased directly from Kodak authorised resellers in 2000ft cores, although short-ends and recans are available from certain suppliers. Shot on Kodak Black and white print film 2302 at EI 6. If know an online store you'd like to recommend, please submit their product page for this film using this form. Kodak’s ColorPlus 200 is a medium-speed, ISO 200/24° daylight-balanced colour negative film. It offers a versatile combination of colour saturation and pleasent grain is well-suited for scanning or enlarging. Have you shot this film? If so, and you'd like to help the community by adding your samples, please visit this update form. Datasheet: Download the Kodak Gold 200 datasheet. EASTMAN DOUBLE-X Negative Film 5222 is a high-speed 35mm panchromatic black and white motion picture film designed for “general production use both outdoors and in the studio”. The film is extensively used in still photography and typically exposed for ISO 250/25° when used in daylight and ISO 200/24° when used under tungsten light. The film is available in 100/400/2000ft cores and bulk loaded 35mm cassettes; sold under various names by companies such as Cinestill. Although a motion picture film stock, 5222 does not have a remjet layer, meaning that it can be developed in labs and in at-home darkrooms in the same manner as other black and white negative films. Read everything EASTMAN Double-X 5222 right here on EMULSIVE. 2016-08-09 – Bound – Eastman Double-X 5222 shot at EI 1600. Black and white motion picture film in 35mm format. Push processed 2+2:3 stops. Kodak Double-X 5222 shot at EI 3200. Eastman Double-X 5222 shot at EI 800. Black and white film in 35mm format. Push processed 1+2:3 stops. EASTMAN Fine Grain Duplicating Panchromatic Negative Film 5234 is a low speed, high-sensitivity black and white film stock with an equivalent ISO of 12/12°. The film is coated on Kodak’s proprietary ESTAR base and is used to make duplicate negatives from master positives, or internegatives from reversal originals. Datasheet: Download the EASTMAN Fine Grain Duplicating Panchromatic Negative Film 5234 datasheet. EASTMAN Fine Grain Duplicating Positive Film 2366 is a low-speed duplicating film intended for making master positives from black-and-white camera negatives. It is a high resolution blue-sensitive black and white film which incorporates a yellow dye, which is removed during processing to provide very high acutance. Do you have a datasheet for this film? If so, please submit it using this form. EKTACHROME is back. Based on EKTACHROME E100G, the film is initially available in 135/36 exposure cartridges and 8mm format (EKTACHROME 7294). 16mm film is expected to begin shipping by the end of 2018, with additional formats being made available after that. 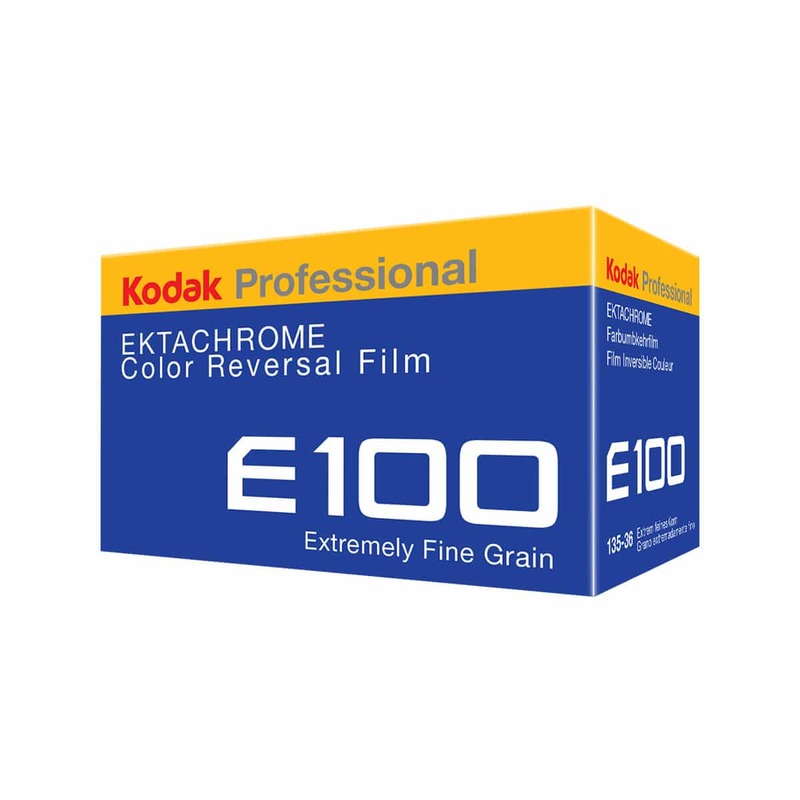 Full details of the release plus links for online purchase can be found in the official EKTACHROME E100 release. Kodak’s GOLD 200 is a medium-speed, ISO 200/24° daylight-balanced colour negative film. It offers a versatile combination of vivid colour saturation, fine grain, and high image sharpness; and is well-suited for scanning or enlarging. Prior to its use on film stocks, the Ektar name (Eastman Kodak TessAR) originally referred to Kodak’s premium, professional lenses (introduced in 1936 and sold until the late 1960s). 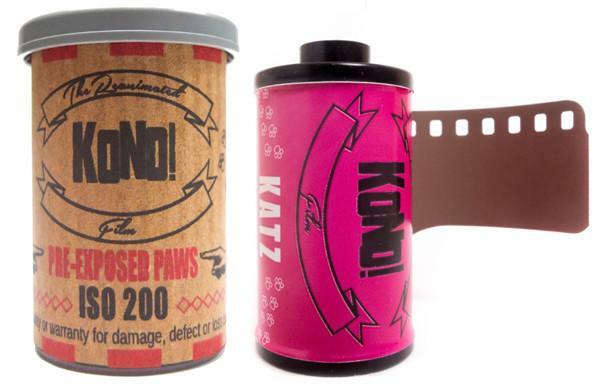 Original Ektar film (1989 to 1997) started as a colour 35mm and 120 “semi-professional film”, designed to offer ultra-fine grain. It was manufactured in 25, 100, and 1000 ISO formats and discontinued in 1994. “New Ektar” (ISO 100/21°) was introduced in September 2008 and claims to be the finest-grain colour negative film available on the market. The film offers high saturation with vivid colour reproduction and good tolerance to underexposure. The film was initially only offered in 35mm format. The offering was expanded to include 120 format film, then 4×5 and 8×10 sheet sizes in 2010. 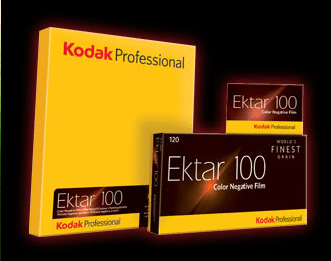 According to Kodak, Ektar 100 is very suitable for digitising using a film scanner. It is coated onto an acetate film base. In 35mm format, the film is provided in DX-coded 36 exposure 35mm cassettes. Brookes – Kodak Ektar 100 shot at ISO100. Color negative film in 120 format shot as 6×6. 2016-06-20 – Red cabbage light study #01 – Kodak Ektar 100 shot at EI200. Color negative film in 120 format shot as 6×6. Developed as black and white. 2015-07-21 – Charmed – Kodak Ektar 100 shot at EI 100. Color negative film in 120 format shot as 6×6. Datasheet: Download the Kodak Professional Ektar 100 datasheet. 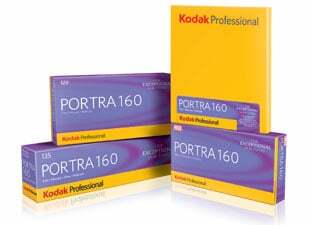 Kodak Portra 160 is an ISO 160/23° daylight-balanced professional colour negative films introduced in 1998 and made originally for portrait and wedding applications. The film was formerly available in “Natural Color” (NC) and “Vivid Color” (VC) variations, before being updated in 2011, when both versions were replaced with “New Portra”. Portra 160 provides both fine grain and excellent “pushability”, allowing photographers to experiment with specific looks and feels when combining overexposure and overdevelopment. The film is available in 35mm, 120 and sheet film format and is coated on an acetate base. Kodak Portra 160NC shot at EI100. Down time Shot on Kodak Portra 160NC at EI 100. Color negative film in 120 format shot as 6×6. Down the middle hot on Kodak Portra 160NC at EI 100. Color negative film in 120 format shot as 6×6. Datasheet: Download the Kodak Portra 160 datasheet. Kodak Portra 400 is an ISO 400/27° daylight-balanced professional colour negative films introduced in 1998 and made originally for portrait and wedding applications. Like Portra 160, the film was formerly available in “Natural Color” (NC) and “Vivid Color” (VC) variations, before being updated in 2010, when both were replaced with “New Portra”. The 2010 Portra 400 update also incorporated technology from Kodak’s VISION line of motion picture films (see listings below). Kodak Portra 400 provides genuinely excellent film latitude, equal to, or better than that offered by Fuji’s Pro 400H line of films. The film is available in 35mm, 120 and sheet film format and coated on an acetate base. Color negative film in120 format shot as 6×6. Engine #9Shot on Kodak Portra 400 at EI 400. Datasheet: Download the Kodak Portra 400 datasheet. 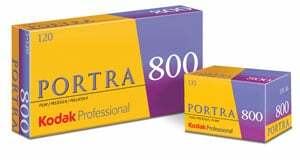 Released in 1998 along with Kodak Portra 160 and 400, Portra 800 is currently the highest-speed colour negative film in production (ISO 800/30°). Unlike Portra 160 and 400 the film was not previously made available in NC/VC versions and unlike 400, has not been upgraded to include KODAK VISION motion picture film technology. The film is coated on a triacetate base and available in 35mm and 120 roll film format. Datasheet: Download the Kodak Portra 800 datasheet. KODAK PROFESSIONAL T-MAX 100 is a continuous-tone panchromatic black and white negative film suggested for general outdoor and indoor photography. It is especially useful for detailed subjects and copy work. This film provides a nominal speed of ISO 100/21° in most developers, offers extremely high sharpness, extremely fine grain, and very high resolving power. It is available in 35mm, 120 and sheet film formats and coated on a triacetate base. 35mm Black and white film in 35mm format. Dried outShot on Kodak T-MAX 100 at EI 100. Datasheet: Download the Kodak T-MAX 100 datasheet. KODAK PROFESSIONAL T-MAX 400 is an ISO 400/27° continuous-tone panchromatic black and white negative film especially useful for photographing dimly lighted subjects or fast action, for extending flash distance range, and for photographing subjects that require good depth of field and fast shutter speeds with maximum image quality for the film speed. It is also useful for scientific and biomedical work, especially when fluorescence photography is required. The film offers very high sharpness, very fine grain, and very high resolving power; it allows a high degree of enlargement. Shot on Kodak T-MAX 400 (TMY-2) at EI 100. .Black and white film in 120 format shot as 6×6. Datasheet: Download the Kodak T-MAX 400 datasheet. KODAK PROFESSIONAL T-MAX P3200 is back. This black and white, multi-speed, panchromatic film has a nominal ISO of 800, is DX-coded for ISO 3200/36° and “normal” processing is based on a film speed of ISO 3200. The film provides a slightly finer grain than other high-speed films and is ideally suited for very fast action; for dimly lighted scenes where you can’t use flash; for subjects that require good depth of field combined with fast shutter speeds; and for handholding telephoto lenses for fast action or in dim light. It is an excellent choice for nighttime photography. It is available in 35mm format and coated on a triacetate base. Datasheet: Download the Kodak T-MAX 3200 datasheet. KODAK PROFESSIONAL TRI-X 320 and 400 (next listing) are high-speed panchromatic films featuring excellent tone gradation and brilliant highlights. Tri-X 320 is especially well suited to low-flare interior lighting or flash illumination. It is also useful for portraiture with low-contrast backlighting outdoors. Tri-X 320 (320TXP) film is available in sheet format only and coated into a KODAK ESTAR base. The film can be reoutched on either the emulsion or film base side. Datasheet: Download the Kodak Tri-X 320 datasheet. 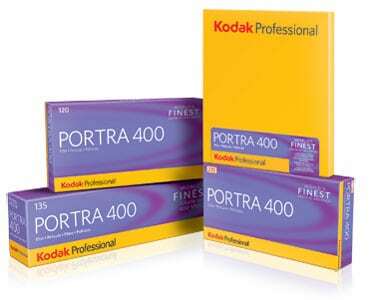 Like TRI-X 320, KODAK PROFESSIONAL 400 is a high-speed panchromatic black and white film. The film has a legendary status in photojournalism and was responsible for capturing some of the most iconic black and white photographs of the 20th century. TRI-X 400 (400TX) is available in 35mm and 120 roll film format. 120 roll film can be retouched on film base or emulsion side. Read the Kodak Tri-X 400 review here on EMULSIVE. Feeling drained – Kodak Tri-X 400 shoat at ISO1600. Black and white negative film in 35mm format. Push processed two stops. Ready for the rain – Shot on Kodak Tri-X 400 at EI 400. Black and white negative film in 35mm format. Datasheet: Download the Kodak Tri-X 400 datasheet. 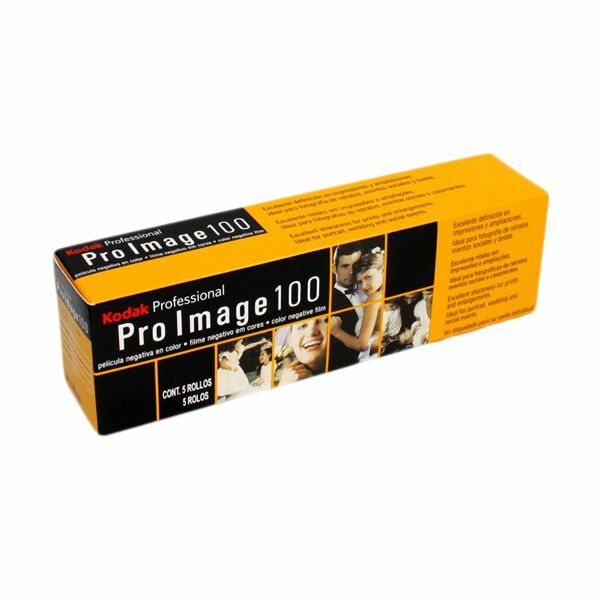 KODAK PROFESSIONAL PRO IMAGE 100 Color Negative Film is a medium speed (ISO 100) film that features high colour saturation, accurate colour, pleasing skin-tone reproduction, and good underexposure latitude. It is intended for portrait and social applications and can be stored at room temperature – even in hot, humid climates. Its printing characteristics are similar to those of KODAK GOLD Films to help simplify printing for photofinishers. Grand theft pamplet – Kodak Pro Image 100 shot at ISO100. High hopes – Kodak Pro Image 100 Professional shot at ISO100. Datasheet: Download the Kodak Pro Image 100 datasheet. KODAK ULTRA MAX 400 film is an easy-to-use ISO 400/27° film designed for “snapshooters” and the perfect colour film for those just getting into film photography and experimenting with 35mm colour negative films. Even when enlarged, ULTRA MAX 400 Film delivers excellent sharpness and fine grain for crisp, clear pictures. Optimized colour precision technology provides consistently bright, vibrant colours with accurate skin-tone reproduction for natural-looking people pictures. ULTRA MAX 400 Film is designed for processing in KODAK FLEXICOLOR chemicals and is printing compatible with KODAK GOLD Films. Maintenance required – Kodak ULTRAMAX 400 shot at EI 1600. Color negative film in 35mm format. Push processed two stops. Datasheet: Download the Kodak ULTRA MAX 400 datasheet. 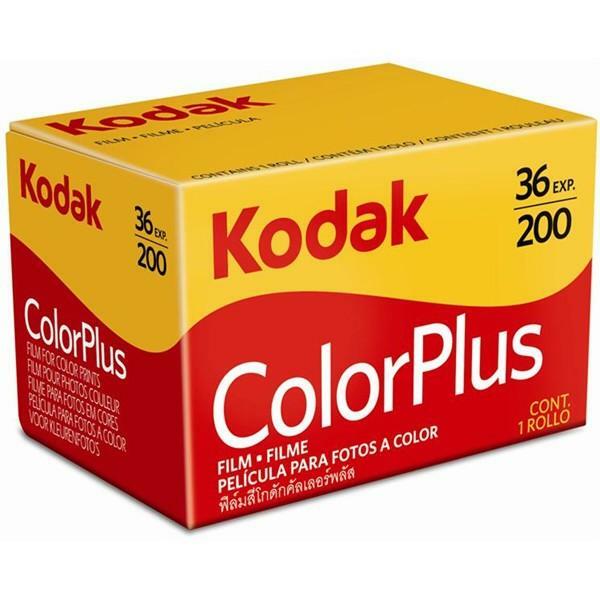 KODAK VISION3 50D Color Negative Film 5203/7203 is a low speed (ISO 50/18°) daylight-balanced film offering the world’s finest motion picture film grain to ensure a pristine, clean image that is full of colour and detail. 50D features unrivalled highlight latitude, flexibility in post-production, and proven archival stability. The film features an expanded dynamic range and excellent exposure latitude. The film is coated onto acetate safety base with remjet backing, which required specialist removal. It should not be developed in regular minilab processors. The film’s standard development process is ECN2 and a C-41 process, while providing a similar response is technically a cross process. This film is also sold as CineStill Xpro C-41 50 (50D) but with the remjet backing removed, meaning that is can be processed as normal C-41 film. It is worth noting that Cinestill’s “pre-removed” films do not have any anti-halation protection and thus provides a slightly different result. Datasheet: Download the Kodak VISION3 50D 5203 datasheet. KODAK VISION3 200T Color Negative Film 5213/7213 is an ISO 200/24° tungsten-balanced film that provides the image structure of a 100-speed film with the versatility of a 200-speed film. Like other films in the KODAK VISION3 film family, VISION3 200T features unrivalled highlight latitude, reduced grain in shadows and proven archival stability. The film performs superbly in both controlled interiors and in high-contrast exteriors. The film is coated onto acetate safety base with remjet backing, which required specialist removal. It should not be devel0ped in regular minilab processors. The film’s standard development process is ECN2 and a C-41 process, while providing a similar response is technically a cross process. When shot in daylight (5500 K), a WRATTEN 2 / #85 filter is recommended. 2015-08-02 Drifted – Kodak 200T (5213) shot at EI 200. Color motion picture film in 35mm format. Datasheet: Download the Kodak VISION3 200T 5213 datasheet. KODAK VISION3 250D Color Negative Film is a medium-speed ISO 250/25° film which incorporates the attributes of the Kodak’s latest VISION3 technology into a daylight-balanced emulsion. 250D provides outstanding skin tones and colour reproduction while adding technical innovations that improve performance and increase versatility for under/overexposure and archival stability. The film provides noticeably reduced grain in shadows and extended highlight latitude. Like all other VISION3 stocks, the film is coated onto acetate safety base with remjet backing, which required specialist removal. It should not be developed in regular minilab processors. The film’s standard development process is ECN2 and a C-41 process, while providing a similar response is technically a cross-process. Read the VISION3 250D 5207 review. 2015-08-05 – Stoopid dawg – Kodak 250D (VISION3 5207) shot at EI 250. Color motion picture film in 35mm format. 2015-08-04 – Hallowed halls – Kodak 250D (VISION3 5207) motion picture film shot at EI 250. Color motion picture film in 35mm format. Datasheet: Download the Kodak VISION3 250D 5207 datasheet. KODAK VISION3 500T Color Negative Film 5219/7219 is an ISO 500/28° tungsten-balanced film, essentially a higher-speed version of Kodak 500T (above). The film performs superbly in both controlled interiors and in high-contrast exteriors and when shot in daylight (5500 K), a WRATTEN 2 Optical Filter / #85 is recommended. This film is also sold as CineStill Xpro C-41 800 Tungsten (800T) but with the remjet backing removed, meaning that is can be processed as normal C-41 film. It is worth noting that Cinestill’s “pre-removed” films do not have any anti-halation protection and thus provides a slightly different result. Shot on Kodak VISION3 500T (5219) at EI 500. Launched in 2014, KONO! is a European analogue photographic company focused on the development of creative 35mm films. According to KONO!, “most KONO! films are based on obscure stock originally intended for shooting motion pictures, scientific purposes or anyplace else where photosensitive emulsions were used”. Despite this, all KONO! films have been pretreated so that they can be developed in standard minilabs. Pre-exposed Aliens. Yes, you get alien faces on your photographs. Able to be processed in a standard C-41 process, this is an ISO 200 film are provided in 24 exposure 35mm cassettes. The placement of the pattern is unique to each roll. KONO! 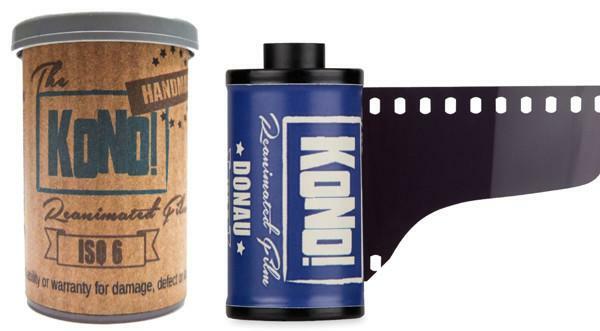 Donau is an extremely blue and ultra slow colour negative film with a speed of around ISO 6. The perfect film for long exposure photography in the daytime or “extremely long exposures in the evening or at night”. Pre-exposed cat paws. Yes, you get cat paws on your photographs. Able to be processed in a standard C-41 process, this is an ISO 200 film provided in 24 exposure 35mm cassettes. The placement of the pattern is unique to each roll. KOLORIT 400 Tungsten creates colourful, brilliant and vibrant pictures when used under artificial light and creates a blue hue when used in daylight. Pre-exposed pink hearts. Yes, you get pink hearts on your photographs. Able to be processed in a standard C-41 process, this is an ISO 200 film provided in 24 exposure 35mm cassettes. The placement of the pattern is unique to each roll. Pre-exposed blue hearts. Yes, you get blue hearts on your photographs. Able to be processed in a standard C-41 process, this is an ISO 200 film provided in 24 exposure 35mm cassettes. The placement of the pattern is unique to each roll. ROTWILD 400 creates intense tints, ranging from yellow to deep red. It is a colour Negative Effect Film, based on motion picture film stock and has been prepared for standard colour film processing in C-41 chemistry. Pre-exposed UFOs. Yes, you get UFOs on your photographs. Able to be processed in a standard C-41 process, this is an ISO 200 film provided in 24 exposure 35mm cassettes. The placement of the pattern is unique to each roll. WINTERMÄRCHEN (winter fairytale) is pre-exposed with “coziness”…apparently! Obsessed with film photography for nearly two decades, Stephen Dowling has been running his film photography blog Kosmo Foto for nearly half that time. 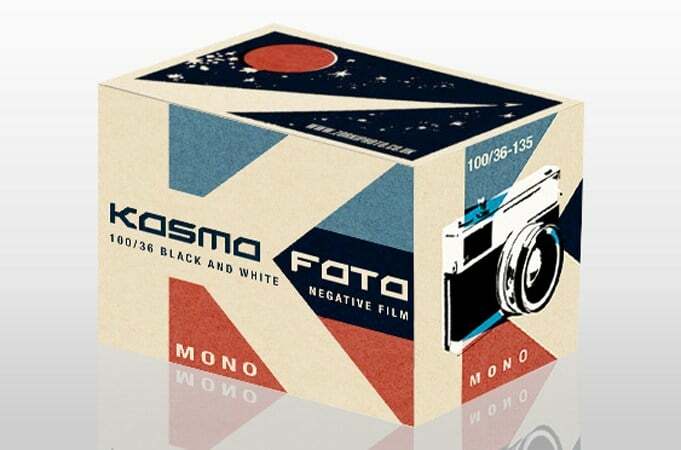 In 2017 Kosmo Foto (still bearing the name Zorki Photo at that time), announced its first film stock, Kosmo Foto Mono 100. Kosmo Foto, with sister website World On Film, continues to spread news, reviews, views and reader photography hand-in-hand with the resurgence of film. Kosmo Foto Mono is an ISO 100/21° panchromatic black-and-white. Like Arista EDU.ULTRA 100, it is rebranded Fomapan 100 Classic. Shot on Kosmo Foto Mono 100 at EI 100. Cosy corner – Shot on Kosmo Foto Mono 100 at EI 100. Black and white negative film in 35mm format. 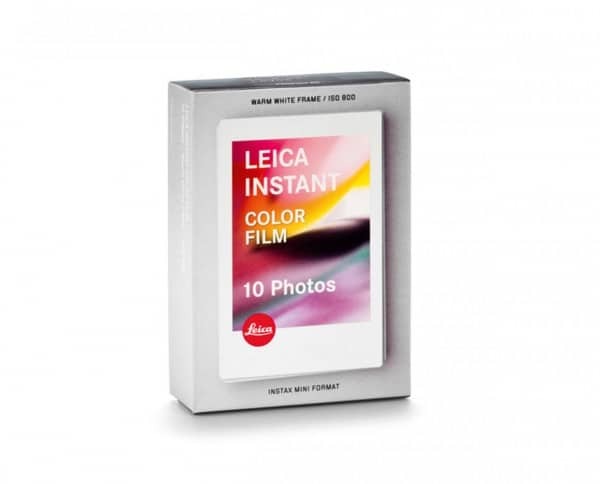 The marketing blurb will tell you that Leica instant film lends every special moment you capture a unique look and feel. I will tell you that they’re made by Fuji and rebranded (according to current information). To all intents and purposes, this is rebranded/white-labelled Fuji INSTAX Mini Color film: An ISO 800 colour integral instant film format, which provides a W46mm x H62mm picture size on a W54mm x H86mm sheet. The film is daylight balanced (5500K), is supplied in cartridges of ten sheets each, and can be used on INSTAX Mini compatible cameras. 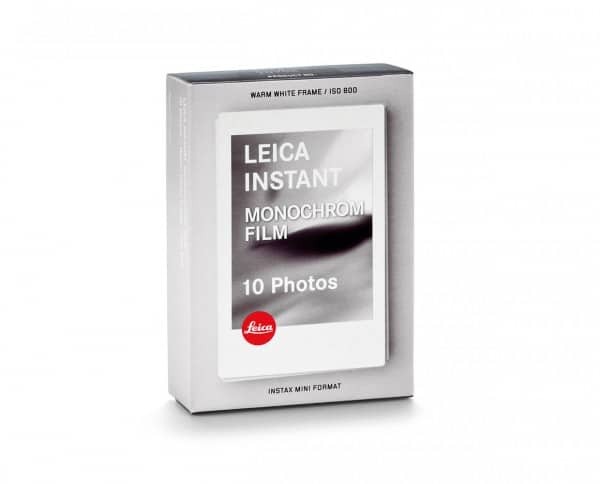 To all intents and purposes, this is rebranded/white-labelled Fuji INSTAX Mini Monochrome film: An ISO 800 black and white integral instant film format, which provides a W46mm x H62mm picture size on a W54mm x H86mm sheet. The film is daylight balanced (5500K), is supplied in cartridges of ten sheets each, and can be used on INSTAX Mini compatible cameras. The company was established in Vienna in 1992 and since that time has released dozens of new film cameras, lenses and film stocks and of course, 110 format film. The film is available in 35mm and 120 roll film formats, coated on an acetate base and can be push processed 2-3 stops to make the most of available light. In 35mm format, the film is DX coded at the time of publication. 2015/06/02 – “Growth” Lomography Color 400 at ISO400. Lomography Color Negative 400 shot EI 400. Shot on Lomography Color Negative 400 at EI 800. 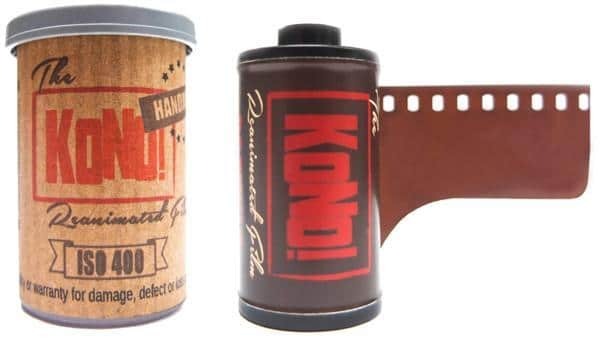 The film is available in 35mm and 120 roll film formats, coated on an acetate base and can be push processed 1-2 stops to make the most of available light. In 35mm format, the film is DX coded at the time of publication. Read the blind film review pitting Fuji Natura 1600, Kodak Portra 800 and Lomography Color Negative 800 head to head day and night in Hong Kong here. Color Tiger is Lomography’s first 110 colour negative film and is coded to be read as ISO 100/21° by capable cameras. The film provides suitably sharp photographs (as can be expected from such a small format) and provides a neutral, earthy colour palette. The film is available in single and three-pack boxes. 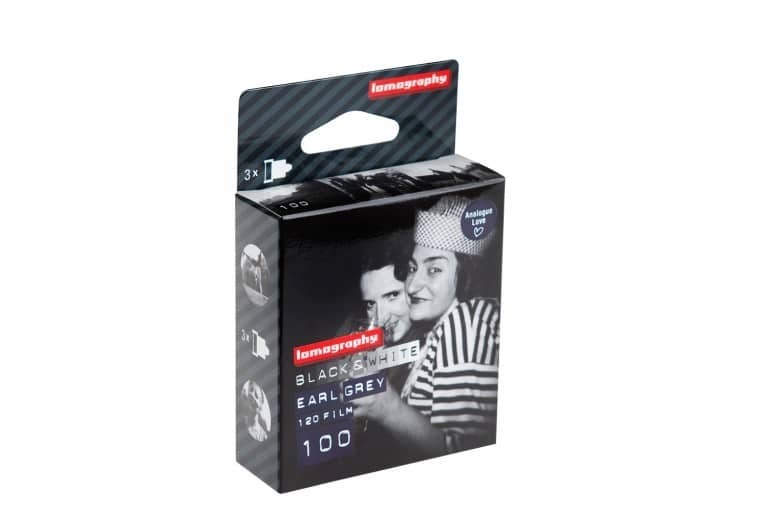 Lomography Earl Grey B/W 100 is an ISO 100/21° panchromatic black and white film available in 35mm and 120 roll film formats. The film is currently produced by Foma Bohemia and in 35mm format is available in 36 exposure DX coded cassettes. 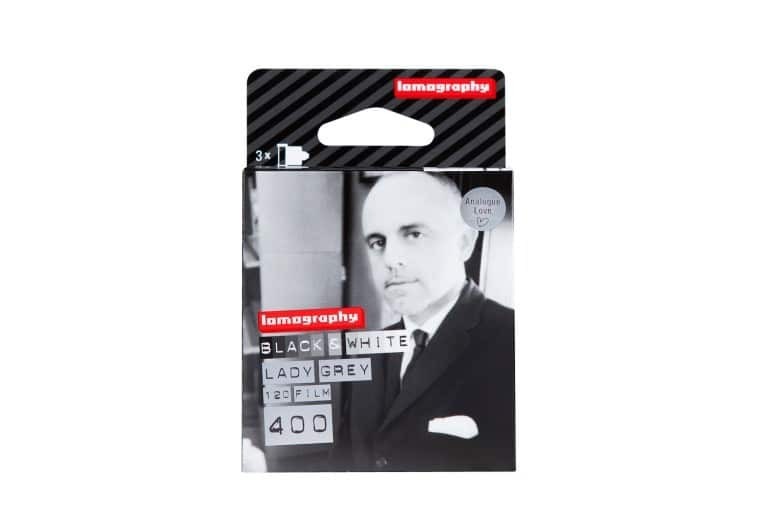 Lomography Earl Grey B/W 400 is an ISO 400/27° panchromatic black and white film available in 35mm and 120 roll film formats. In 35mm format the film is available in 36 exposure DX coded cassettes. Color Redscale Tiger is Lomography’s first 110 colour negative film and is coded to be read as ISO 100/21° by capable cameras. The film provides suitably sharp photographs (as can be expected from such a small format) and provides the red and orange tones one would expect from a redscale film. LomoChrome Purple XR 100-400 is a unique negative film designed to be shot at an EI range of anywhere between 100 and 400. The film produces false colours with an overall purple hue that are reminiscent of Kodak AEROCHROME colour infrared film. The film currently on sale is Lomography’s second version, which limits the purple tone somewhat but as with its predecessor, responds with deeper purple hues when shot at a lower Exposure Index – EI 200/24° or EI 100/21° versus EI 400/27°. 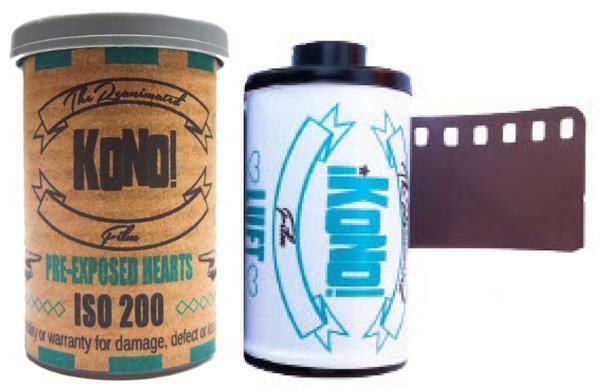 The film is available in 35mm and 120 roll film formats. A version 3 formula was announced in September 2018 and is available for pre-order. The updated film is expected to be available for general release in early 2019. Lunch – Lomochrome Purple XR 100-400 shot at ISO 400. Color negative film in 35mm format. The only black and white 110 format film currently in production. Even with a tiny negative, this ISO 100/21° film produces pleasing results – seriously. Grain is obvious in high contrast situations; however, the film provides a nice range of mid tones. 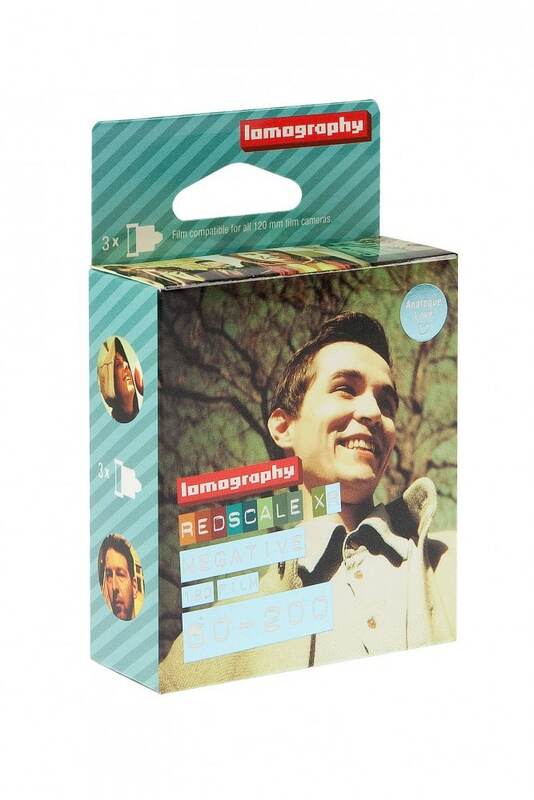 As with other Lomography 110 films, it is available to purchase in single or 3-pack options at retail/online. Yep, it’s a 110 E6 film that demands cross processing. Colours are vibrant and lean toward yellows, greens and blues. Expect large grain when cross-processed but relatively small grain when processed in E6. Having covered colour negative, slide and black and white film in 110, my thinking is that redscale film made the perfect next choice for the folks and Lomography. Expect the usual redscale yellows, golds and reds! Lomography’s eXtended Range films give you the option of choosing a film speed from a 3-stop range when using the film. This can result in some wildly different results from a single roll of film; from the fires of Mount Doom to giving your photos a warm, sunset feel, and even cooling blue tones. There really is nothing like it. The film is available in 35mm and 120 roll film format. Shot on Lomography Redscale XR 50-200 at EI 100. Color negative film in 35mm format, redscaled. Retirement life – Lomography Redscale XR 50-200 shot at ISO200. Color redscale negative in 120 format shot as 6×4.5. Color redscale negative in 120 format shot as 6×4.5. Red planet – Lomo Redscale XR 50-200 shot at ISO100. This is Lomography’s updated cross processing slide film and provides repeatable, consistent results that increase the intensity of colours shot, rather than unpredictable colour shifts. Grain is relatively controlled when cross-processed and acceptable when developed in E6. 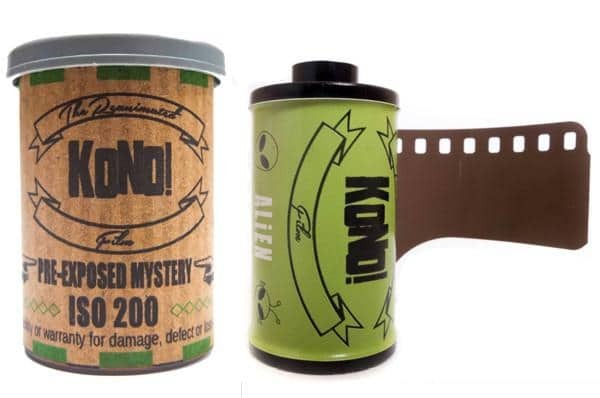 That said, if you intend to shoot a sharp, fine-grained slide film, you’re probably not going to be buying this film for that. The film is currently only available in 35mm 3-packs. Available in both 35mm and 120 formats, Lomography’s XPRO 200 is reminiscent of Agfa RSX’s muted, earthy tones when developed in E6 chemicals but provides a light citrus hue when cross-processed in C-41 chemistry. Colours are bright and lean towards yellow, light green and blue. 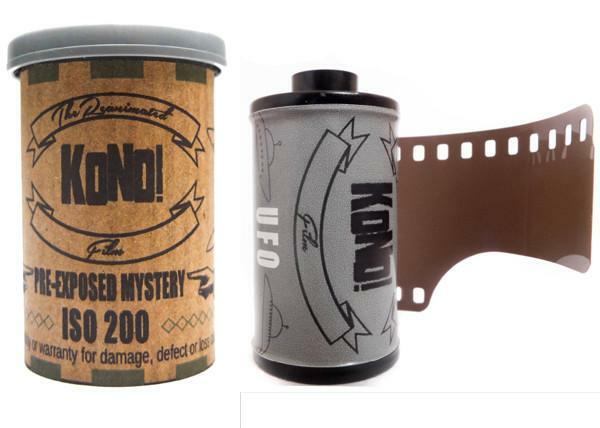 The film is available in 35mm and 120 roll film format in 3-packs. Not to be confused with China Lucky Film Corporation (乐凯 / 樂凱 / Lè Kǎi in simplified / traditional / pinyin Chinese), although that is where the film is manufactured. Luckyfilm (华感 / 華感 / Huá Gǎn again, simplified / traditional / pinyin Chinese ) take direct responsibility for production of the raw film stock, which they then cut, load and package up before selling it via a combination of distributors, retailers and direct sales channels. 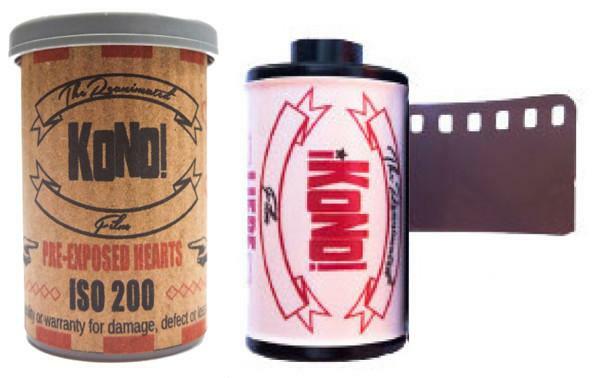 Currently only producing 35mm black and white film, the company hopes to bring both 120 format black and white and multi-format colour negative film into production as sales support growth. Lucky New SHD 100 is an ISO 100 black and white black and white negative film for general outdoor and indoor photography. Ideally developed in Kodak D-76 or Luckyfilm’s own special developer formulation. At the time of writing the film is available through selected online retailers in 35mm / 36 exposure rolls only. The film comes with improved tolerance to both high temperatures and humidity. The emulsion is laid down on a near-transparent polyester base which is thinner than it’s predecessor. Read the Luckyfilm New SHD100 review. Since the early 2000s, MACO has been producing and selling films under the Rollei brand name through their website macodirect.de and other online/physical retailers. Based almost exclusively on black and white negative Agfa and Agfa-derived recipes (Aviphot), MACO provides a range of film stocks which encompasses: very slow, high-resolution technical films, surveillance, infrared and consumer films. Most recently the company announced a limited run of Rollei Vario Chrome, an expired slide film, rebadged and sold as a multi-speed colour slide film stock in 35mm / 36 exposure cassettes. 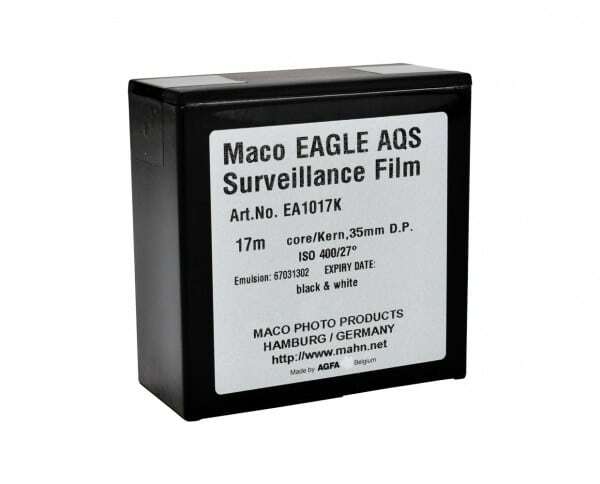 MACO Traffic Surveillance Eagle AQS is a 35mm ISO 400, red-sensitive panchromatic traffic surveillance film available only in 17m/30m bulk loading cores. The film provides high sharpness and can be push processed 4-stops to still produce a result capable of resolving fine detail such as vehicle license plates and aiding in driver identification – something one would expect from a surveillance film still used commercially today. The film is coated on a polyester base. Shot on Maco Eagle AQS 400 at EI 320. Maco Eagle AQS 400 (Rollei Retro 400s) shot at EI320. Black and white negative film in 135 format. Maco Eagle AQS 400 (Rollei Retro 400s) shot at EI400. The final part will serve as a redux of sorts, providing a single linked reference for each of the films covered through the series, as well as a few interesting breakdowns by vendor, (verified) manufacturer, format and any other metric I can think of to cut it up. If there’s a specific breakdown you’d like to see, please let me know in the comments. 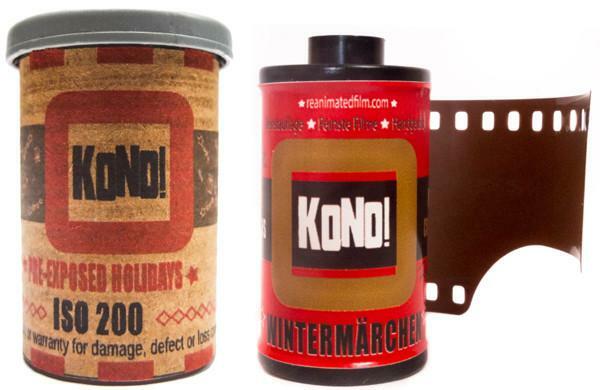 Thanks to Kodak, KONO!, Lomography and Macodirect for the use of respective product images. You’ll find links to them in their listings, so please go pay them a visit. 2018-11-20: Added new online store links. 2018-10-04: Added new Kodak EKTACHROME E100, updated running count. 2018-09-20: Added new Lomochrome Purple v3 details, updated running count. Found something I missed or got wrong? No worries, it happens. You can use this form to submit your updates, new film details and sample images. Is film coming back in a big way or just small way, cut cost of film on 120 films so more pro can use more. @KodakProFilmBiz @lomography @macodirect @ReanimatedFilm Btw The name Portra was also used on a set of closeup lenses.